Belvedere Lagoon is an artificial lagoon on San Francisco Bay in Belvedere in Marin County, California. Narrow strips of land separate it from Richardson Bay (to the northwest) and Raccoon Strait. The lagoon is owned and maintained by the Belvedere Lagoon Property Owners' Association. The lagoon is not accessible by boat from San Francisco Bay, and no public access is provided. 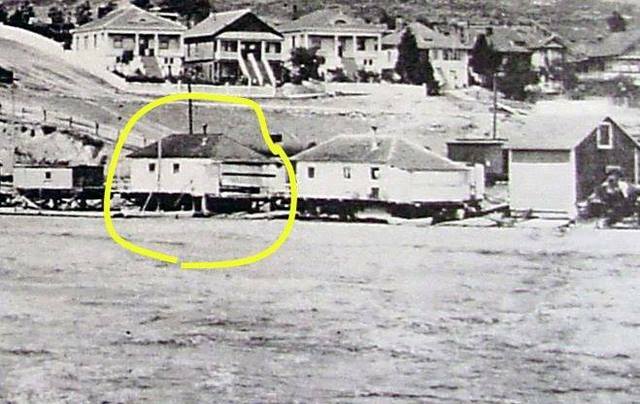 Until somewhat late in the 20th century houseboats were present in Belvedere Lagoon. There used to be a natural passage between the lagoon and the San Francisco Bay through the southern spit. The passage was spanned by a drawbridge. 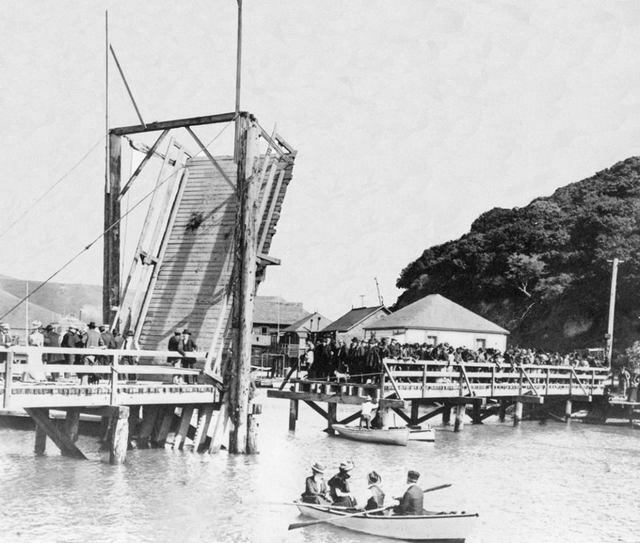 From the late 19th century, the drawbridge would be raised twice a year, once in the Spring to allow pleasure boats of the Corinthian Yacht Club to exit the lagoon, where the boats wintered, and go to their Summer moorings, and once in the Fall, to allow the boats to return. This raising of the drawbridge signaled the beginning of the pleasure boat season. 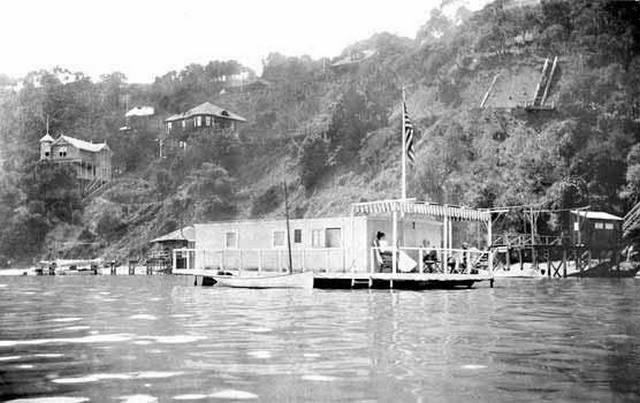 In 1917, that informal celebration morphed into a more formal and elaborate parade of boats that has now evolved into the Opening Day on the Bay involving the 104 clubs of the Pacific Inter-Club Yacht Association. Belvedere Lagoon was partially filled after World War II to provide building sites for tract houses and to improve access to Belvedere Island. It was also once the site of a 9-hole golf course. 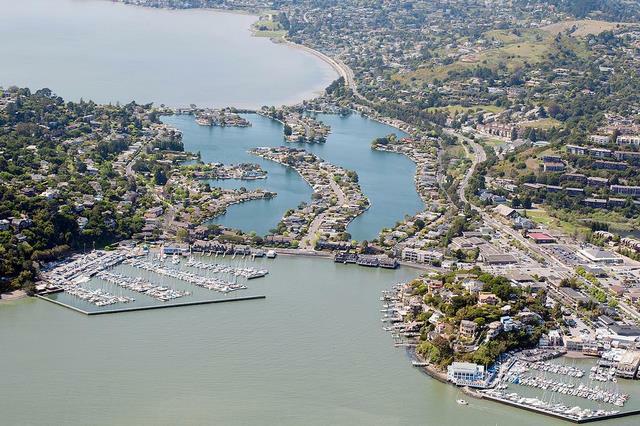 Oakland, Belvedere, Berkeley, and Tiburon. Lewis Ark is from Belvedere. Owners called their floating cottages arks because they had built them to conform to the one Noah built in obedience to the Lord's commandment. Owners called themselves the descendants of Noah. Carefree ark life met its first blow after the 1906 Earthquake and Fire. Arks took on a new use, as a refugee home, as the only shelter for some residents of the city who had lost all else. Gay then, this season will not be. Our men are too busy; our women are too busy. There is a city to be builded, the most beautiful and beloved of cities. The ark, the country home of the sea-lover, is this year his home where he must think and work for the "city beautiful...." Rather soberly then, in comparison, will life go aboard the houseboats this year. It was during this time that Lewis Ark was built. After San Francisco recovered, the arks resumed their role as floating summer homes, but the fleet was reduced. The only substantial gathering of arks was at Belvedere. One member of that gathering was Lewis Ark. Because arks were not powered, they had to be pulled or towed by powered craft to their mooring. 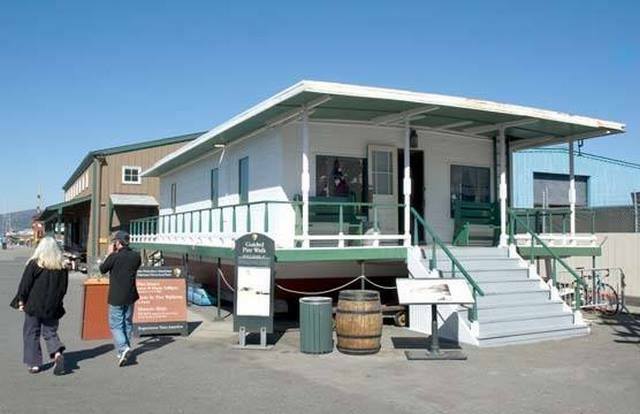 At Belvedere, the arks were berthed in a small lagoon near Tiburon during the harsh weather of the winter months. In the summer, the small drawbridge that traversed the lagoon would be let up to allow for the passage of the arks. When the bridge was converted into a permanent structure in 1939, many arks were trapped inside. This doomed them. Some were removed to other waters, but many were left in the lagoon to decay and fall into disrepair. Some were hauled ashore and used as land dwellings, including Lewis Ark. Adapted from the NRHP nomination form. 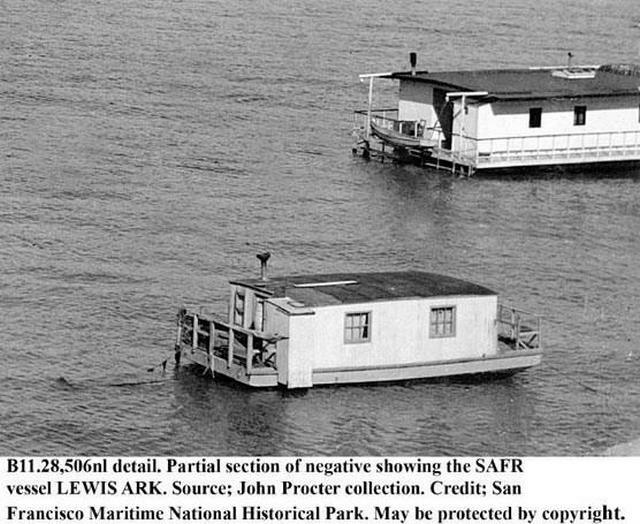 This little houseboat, referred to locally as an ark, was one of several dozen boats moored out as summer hideaways for San Francisco families in Belvedere Lagoon, near Tiburon in Marin County. Summer aboard the arks was an idyllic time. The boats were brightly painted, and glowed at night with colorful Japanese lanterns. Evenings were spent visiting between boats in neatly finished Whitehall rowboats. There used to be a natural passage between the lagoon and the San Francisco Bay through the southern spit. The passage was spanned by a drawbridge. The ark Minnehaha near Belvedere Island. Guests gather under an awning and a sailing Whitehall boat is ready alongside.